Legacy sensors are usually older designs that were primarily used in older textile machines and are usually sold as spare parts to end users. To identify the correct legacy model you should quote the DS number which is usually written on the sensor cable. 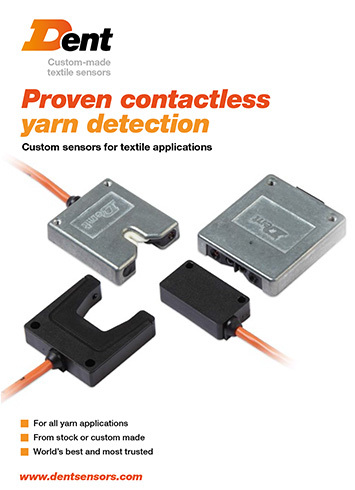 Traditionally know as ‘Start Up Delay’, this is the period between the first yarn detection and the sensor output changing state, signalling that yarn is now running. This is the period between the last yarn detection and the output changing state, signalling a yarn break. Dent creates custom sensors to meet any need, however challenging. With rapid response to an agreed specification, fully-functioning prototypes are delivered. Not found the answer you were looking for here?